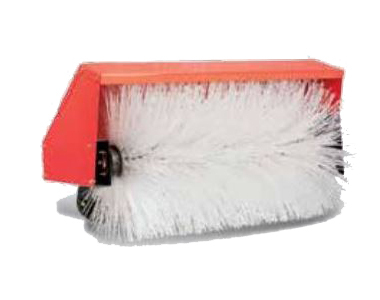 Clear light snow and slush easily with this Ariens 36" Rotary Brush. A full rotation offers complete clearing and strong, durable bristles clear snow efficiently. This power brush fits Ariens Professional Sno-Thro models. Clearing Width: Clear snow quickly with a 36 inch working width. Rotation: Complete clearing is offered with powerful rotation. Strong Bristles: Pliable, strong, and durable bristles clear snow efficiently. Fits Model: Ariens Professional Series Sno-Thro Models. Ask us about the Ariens 36" Snow Brush (Professional Models). Please no repair questions. Your Q&A may be posted to SnowblowersAtJacks.com to help other shoppers, like you, with their purchasing decisions. Thank you. Will this product fit the Ariens Deluxe 921047? Brock, the Ariens 82100100 Brush fits the Ariens Deluxe models. Tom, yes the Ariens 82600300 36" snow brush is compatible with an Ariens 926038 Professional Series snow blower.